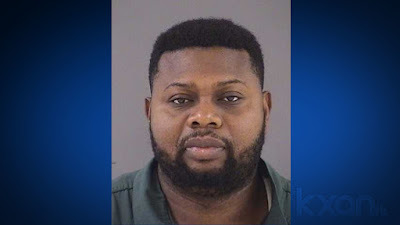 A 34-year-old Nigerian national was sentenced to 135 months in federal prison, more than 11 years for his fraud, money laundering and romance schemes in Austin that netted more than $1 million. One of Kingsley Otuya's victims killed herself after losing hundreds of thousands of dollars and being "emotionally devastated" by the romance scam, the U.S. Attorney's Office for the Western District of Texas said. Multiple victims faced serious financial hardship as a result of the schemes. According to court documents, Otuya used an online dating profile to target at least one of the victims. “This case brutally illustrates how fraud schemes hurt victims not only financially but also emotionally,” said U.S. Attorney John F. Bash. Otuya pleaded guilty to one count of conspiracy to commit money laundering in April 2018. Authorities began investigating him as part of a series of investigations in Austin into the activities of West African fraud schemes, officials said. Acting as a "catcher," Otuya would quickly withdraw fraudulently obtained funds from bank accounts where the victims had deposited money, and would then send the money to his co-conspirators before victims tried to recover their funds. Authorities said he used fake passports to open nine different bank accounts under false names in Austin and often withdrew $10,000 or less to avoid bank reporting requirements. Otuya was paid a fee for the fraud proceeds that went through his accounts, the U.S. attorney's office said. Court records show Otuya will likely be deported back to Nigeria following his prison term. He has been ordered to pay more than $966,000 and be placed under supervised release for three years after he is released.